As you can see, these are significant differences that transformed my experience with the E-M1. To date, I still enjoy using the E-M1 immensely because of the transparent shooting experience, the fast AF, the beautiful and accurate colors, and the malleability of RAW files in LR (easier to process than Sony A7II files). The E-M1 was released two years ago as the Olympus mirrorless flagship, and it still is compared to other MFT and mirrorless cameras. Olympus took a hint from Fuji, and for two years to date, they are updating the E-M1’s firmware to add new features and fix idiosyncrasies that existed. Every time they release a major upgrade, I feel like Olympus have given my camera a new life, and they are still caring about its flagship status. Yes, some of the updates should have been included in the camera from the beginning, and some of the upgraded features were already available in other mirrorless cameras earlier than Olympus, but that still doesn’t take from the importance of what Olympus does, and how they make their users feel happy and proud. Look at what Apple did with the original iPhone. They made a 2G-only iPhone with a bad fixed-focus camera and made a big fuss about it, while at the same time all other manufacturers had 3G phones with way better cameras. Then they released the iPhone 3G and made an even bigger fuss about it as if Apple has invented the 3G technology, etc… At the end of the day, the users were excited with each release and flocked to buy the upgraded version. 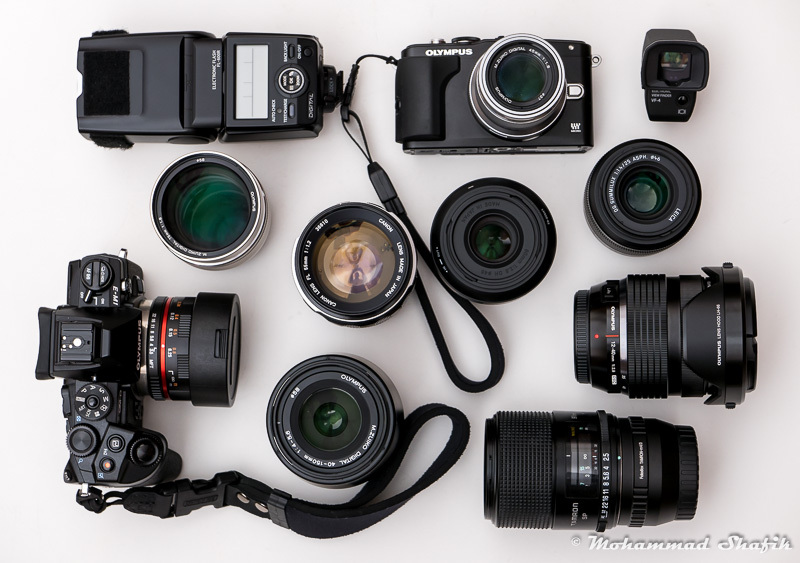 In analogy, Olympus does the same with the E-M1, but without costing you extra money. How good is that? Which brings us to the subject of this post (long intro, eh? ): Olympus’ announcement of E-M1 firmware v4. Before telling you about major this update is, I would like to start with the earlier firmware upgrades (starting with v1.1) and let you know how they mattered to me as an end-user. I will only list the features relevant to me. You can find the full list in this link. add 24 and 25 fps in movie mode, a big yaaay, finally! As you can see, Olympus has continuously updated the E-M1 (and other cameras too) throughout its 2 year-old life. And not just small updates, no, hugely useful updates to cater to all types of users. And for that, I am eternally thankful, and would stay loyal to Olympus for the time being. I just hope they concentrate on a better video codec and 4K shooting on their next flagship, not that I need to produce 4K-sized videos, but it looks very impressive and detailed on a 1080p timeline, and gives me flexibility to punch-in for close-ups as if I was using two cameras for the same shot.